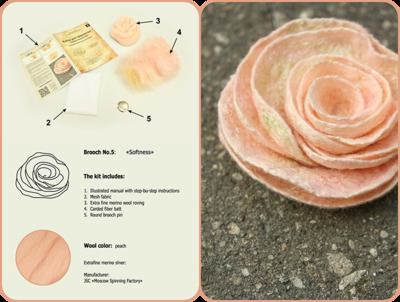 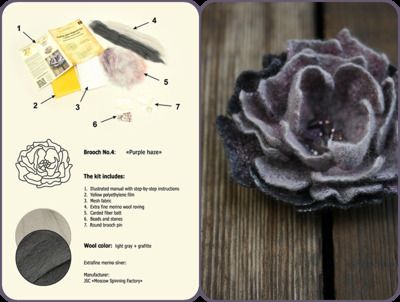 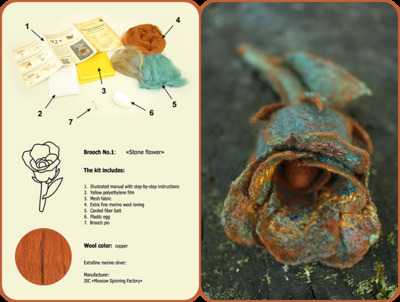 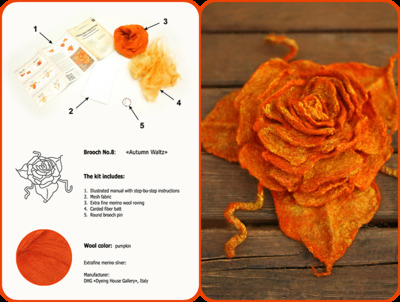 This kit contains everything you need to felt a small flower brooch - the accessory that makes your image complete. 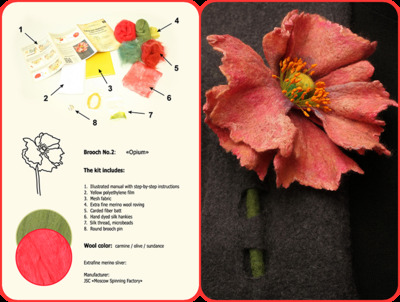 Each kit includes illustrated manual with step-by-step instructions, all necessary supplies, materials and accessories. 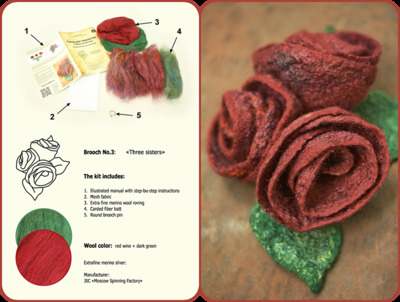 With these simple models, you will practice on different felting techniques that will be useful in future projects. 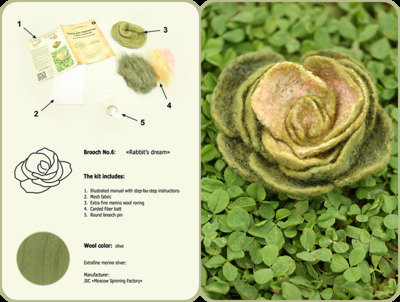 Felt is a huge world of opportunities where everyone will find something to his liking. 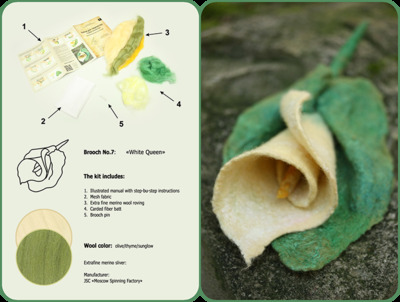 We will be happy if you take your first steps with our kits. 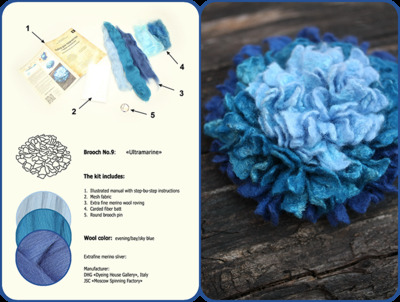 They can also be the best gift for those your friends and relatives who loves handmade arts and crafts.